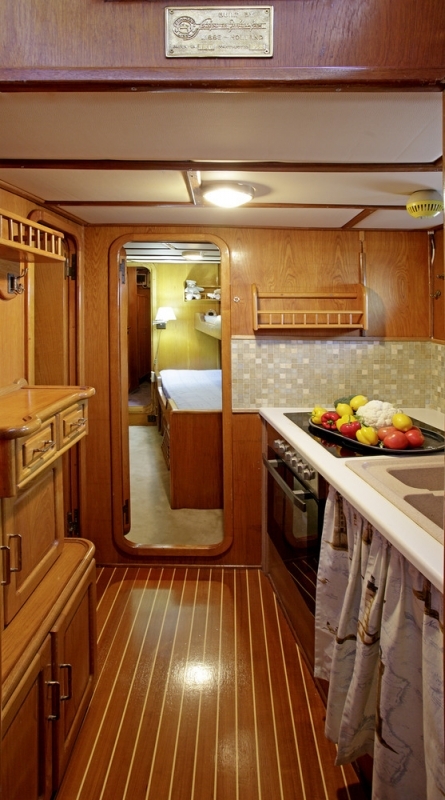 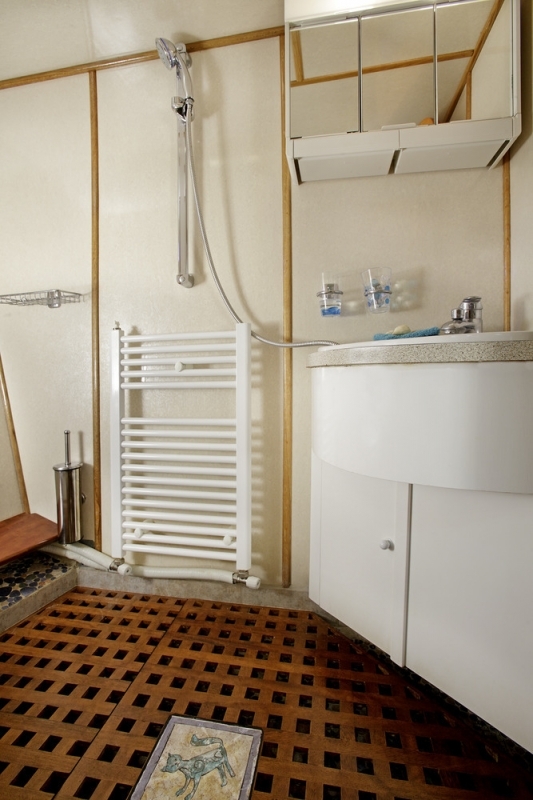 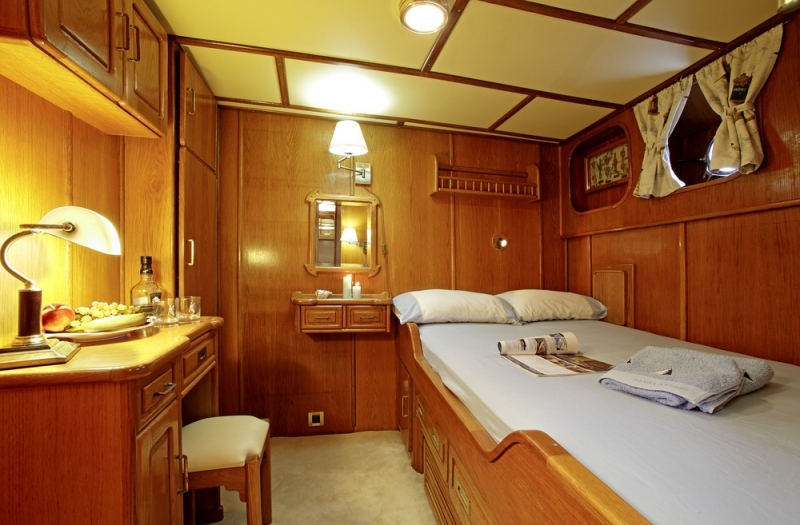 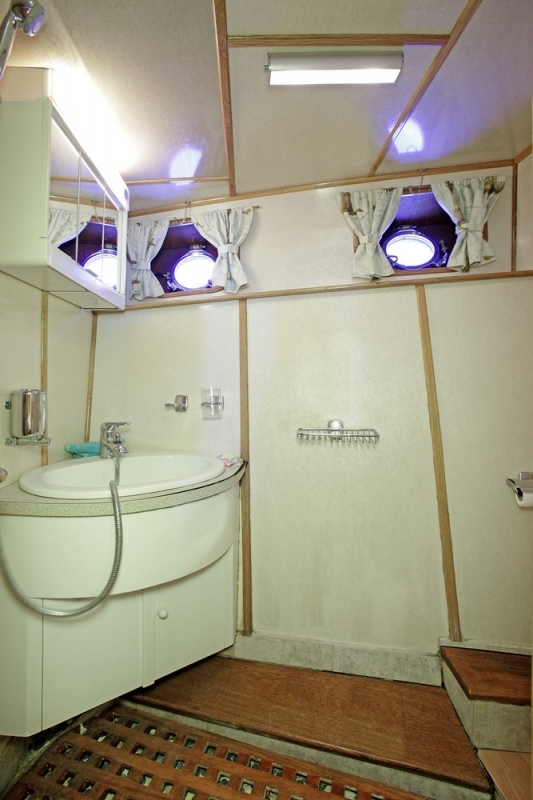 ROTA II accommodates up to 8 guests in 4 guest cabins, all with their en suite heads. 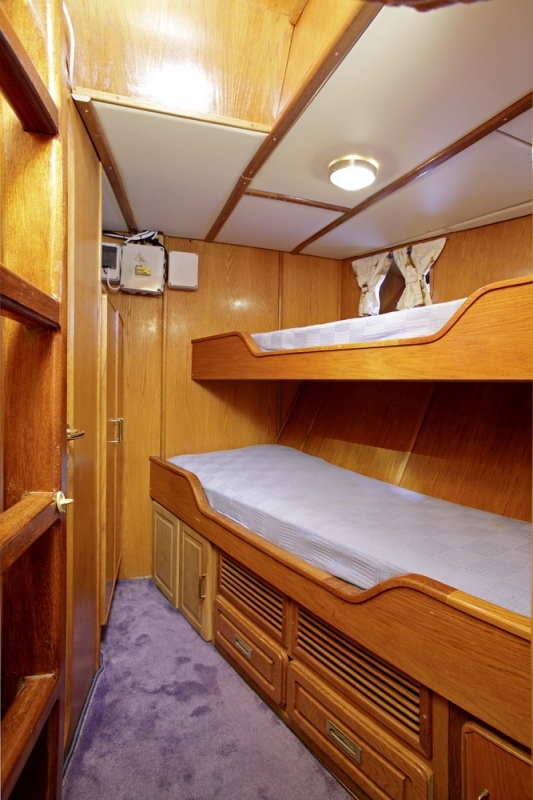 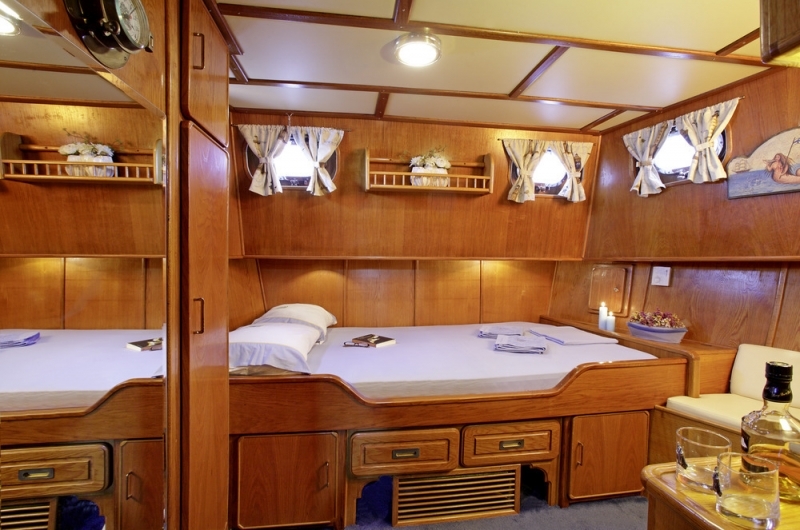 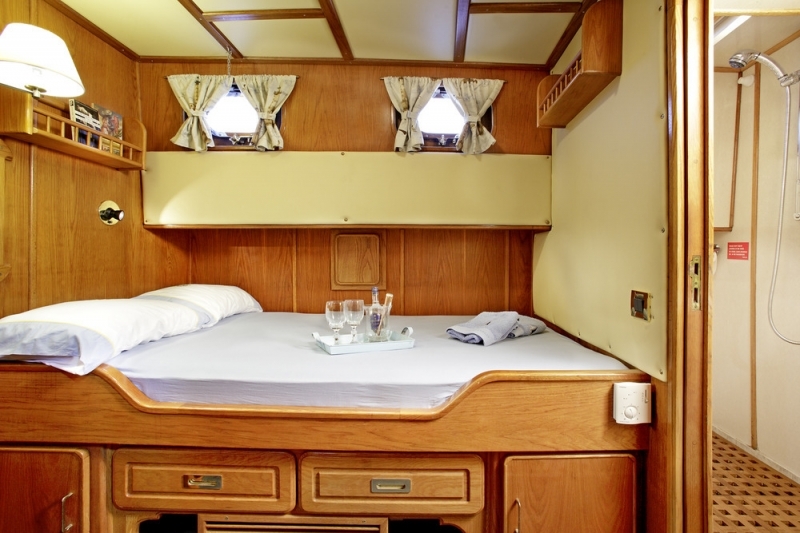 Two Master cabins with double beds, one VIP cabin with a double bed and one Twin cabin with one upper and one lower bed. 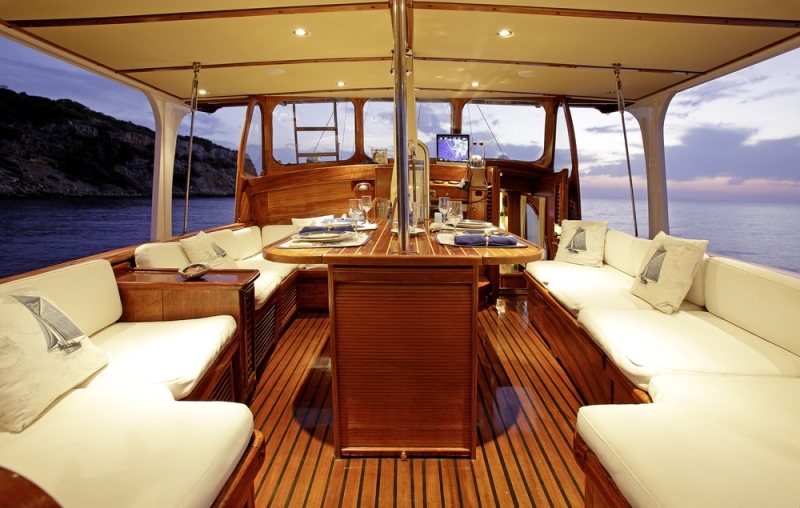 ROTA II is one of the very few luxury yachts in Greece with a license for up to 46 guests for Daily Cruises. 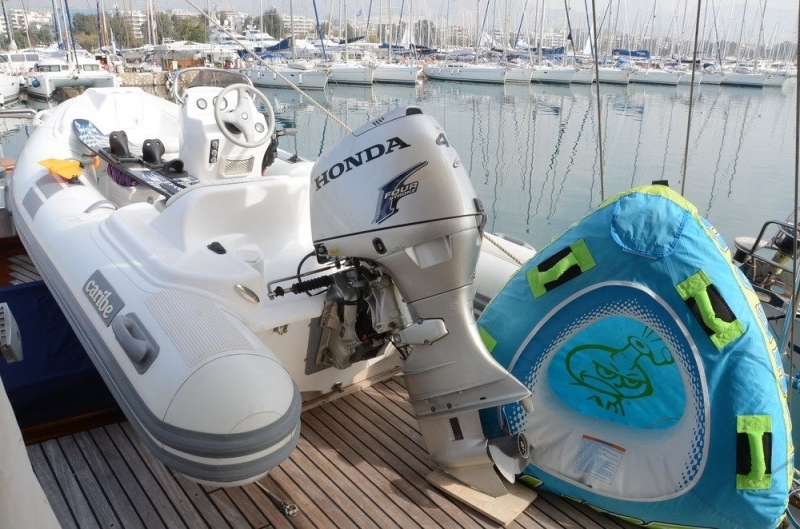 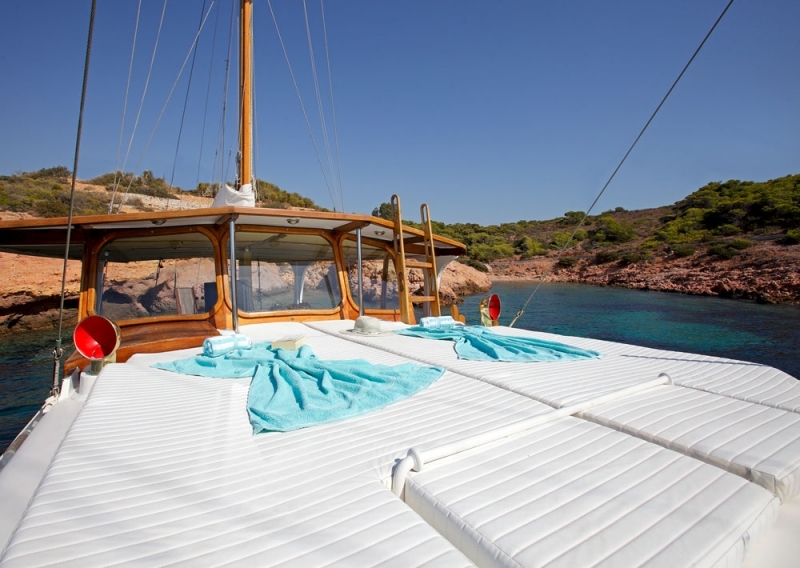 Tender & Toys Tender Inflatable 4 m.
ROTA II is an exceptional luxury crewed 65 feet Motor Sailer, available for private charter in Greece and Turkey. 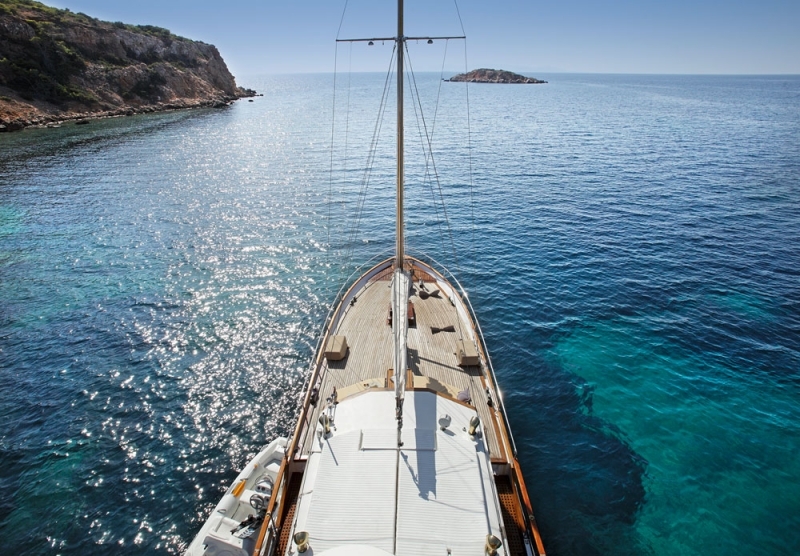 She is a fantastic pedigreeyacht, built to the highest standards by the reputed Akerboom-Feadship Shipyard in Holland and is unique in Greece. 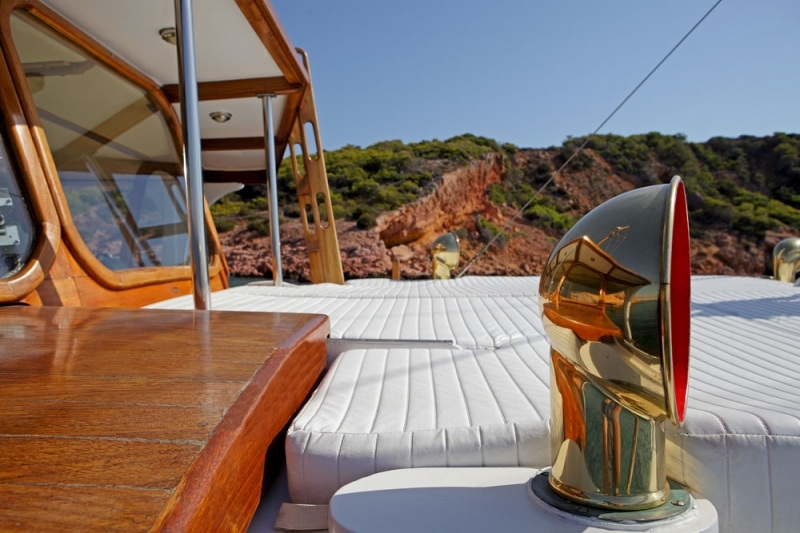 Her low fuel consumption (60 lts/hour) and her great autonomy in fuel and drinking water, give guests the privilege to enjoy the amazing Greek seas and islands and to explore thousands of unique destinations. 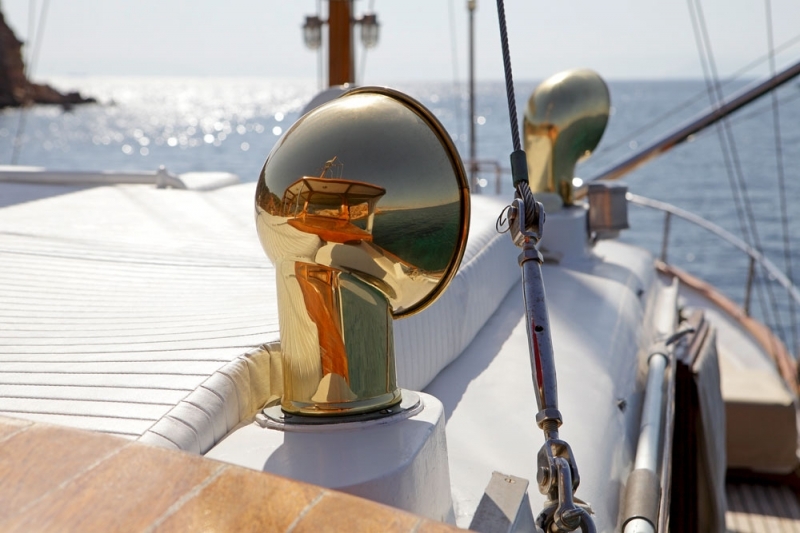 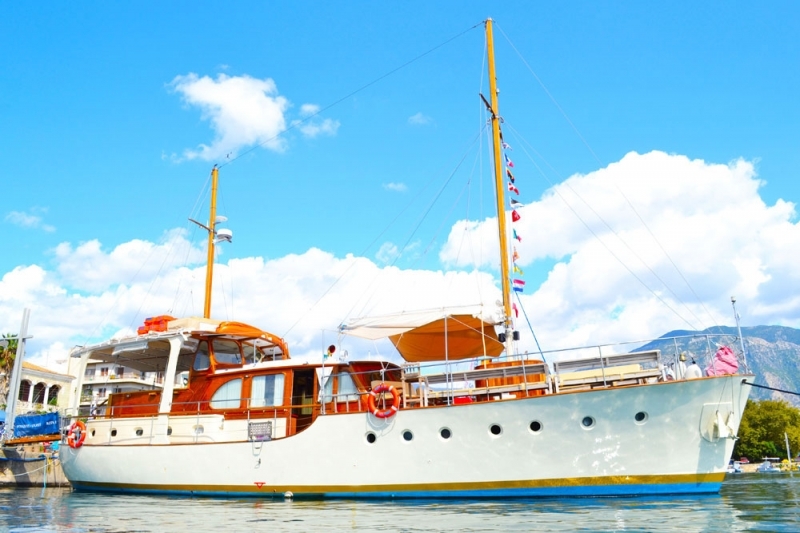 This much admired magnificent yacht has a great history in the seas and now is in top condition, after a series of extensive renovations and a meticulous regular maintenance plan. 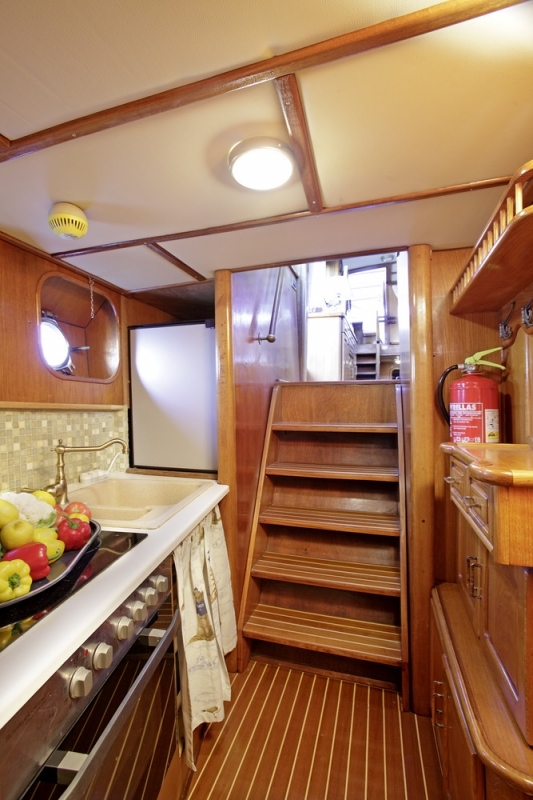 From 1996 to 2000 she has undergone a total rebuilt (engineering - electric- electronic - hydraulic - safety equipment etc) and in 2012 she had an additional very successful refit. 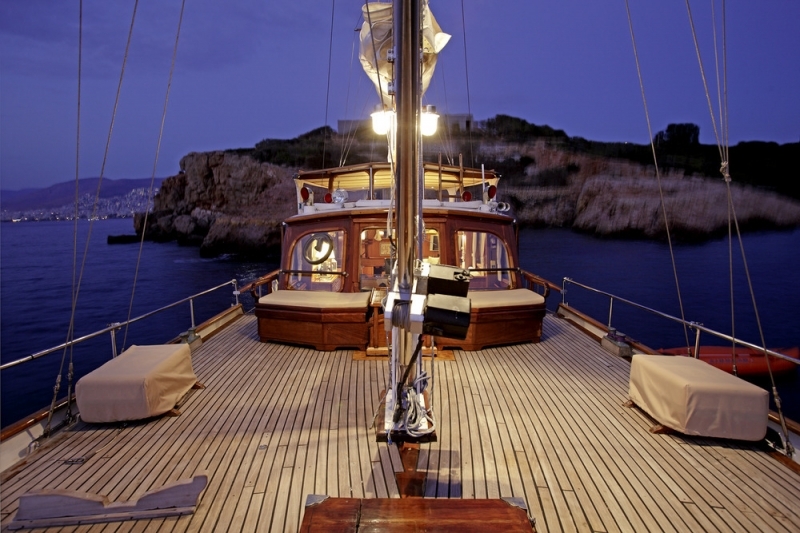 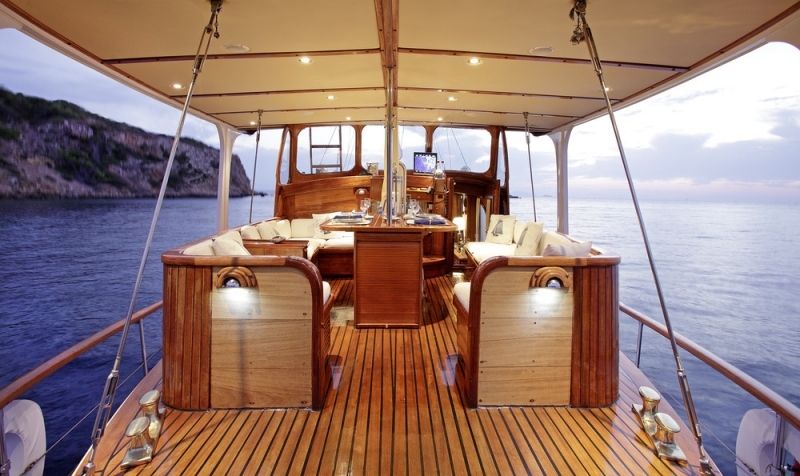 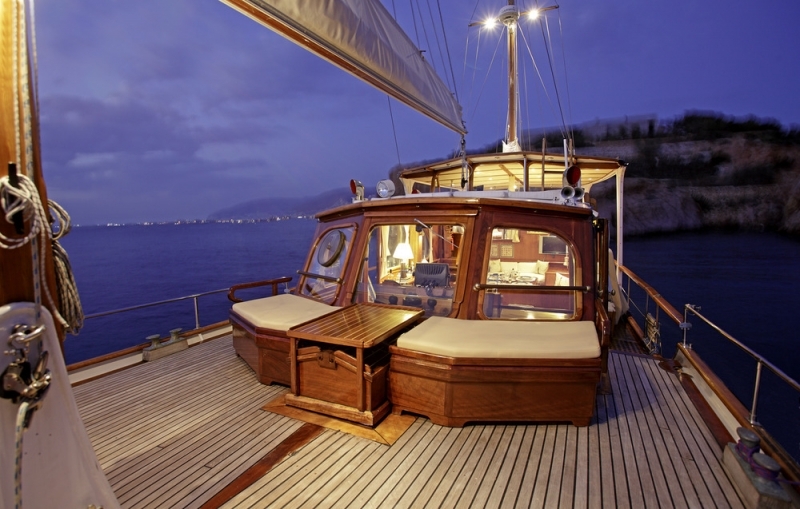 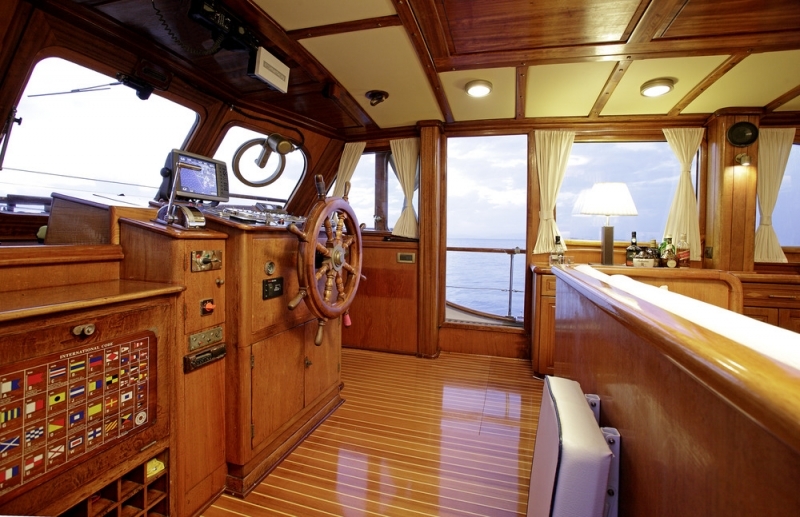 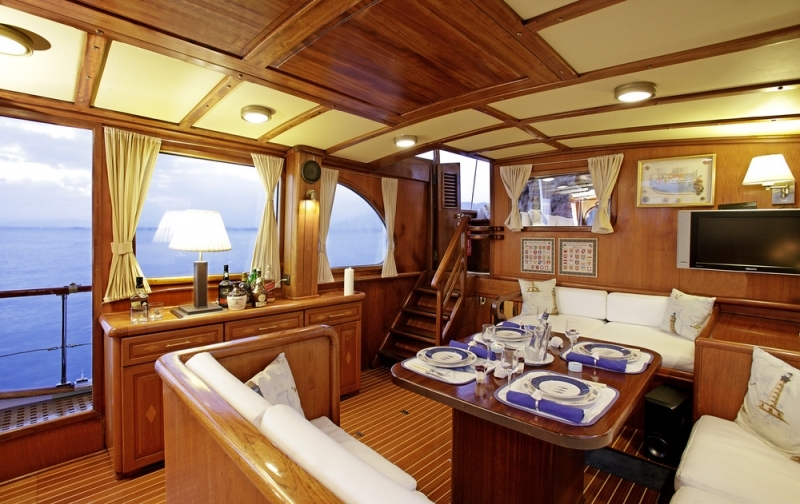 Her hull is made of high quality steel and all wooden constructions are made of high quality teak and iroko wood. 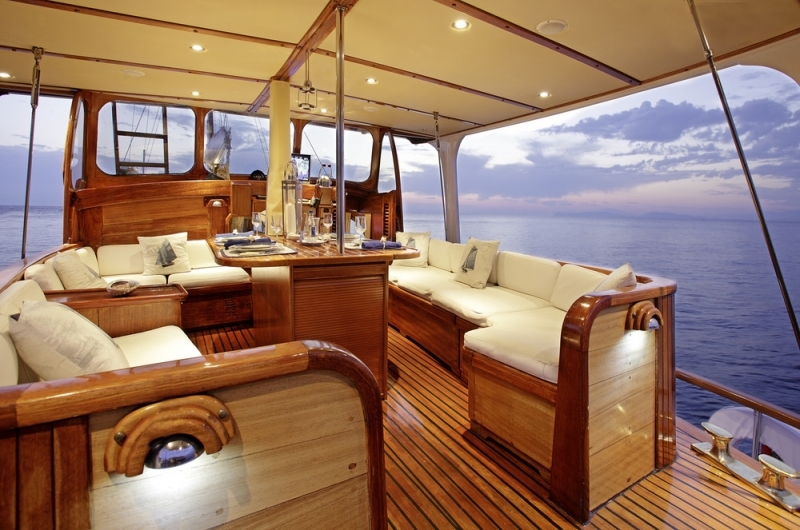 Her superb permanent Crew is on the yacht for many years and receives always excellent evaluations by all guests. 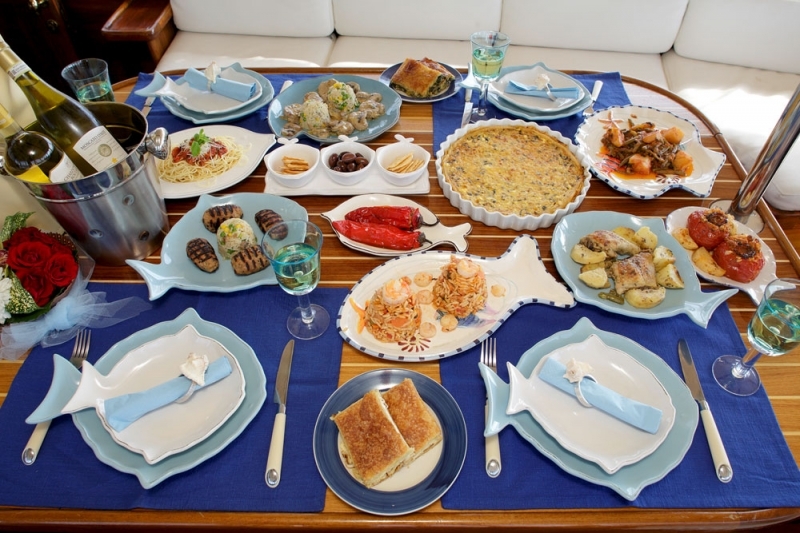 Having a long experience and a perfect knowledge of all Greek destinations, they are very helpful, discrete and always ready is to cater every guest need. 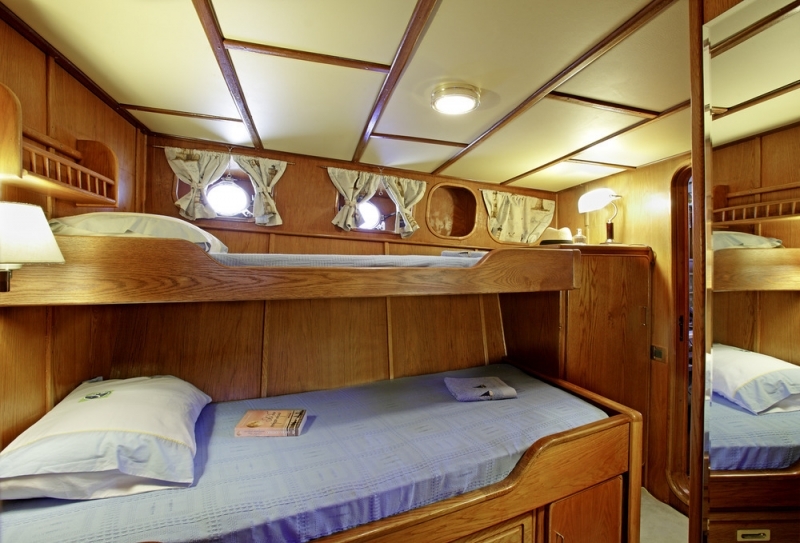 Crew enjoys their own cabin and head. 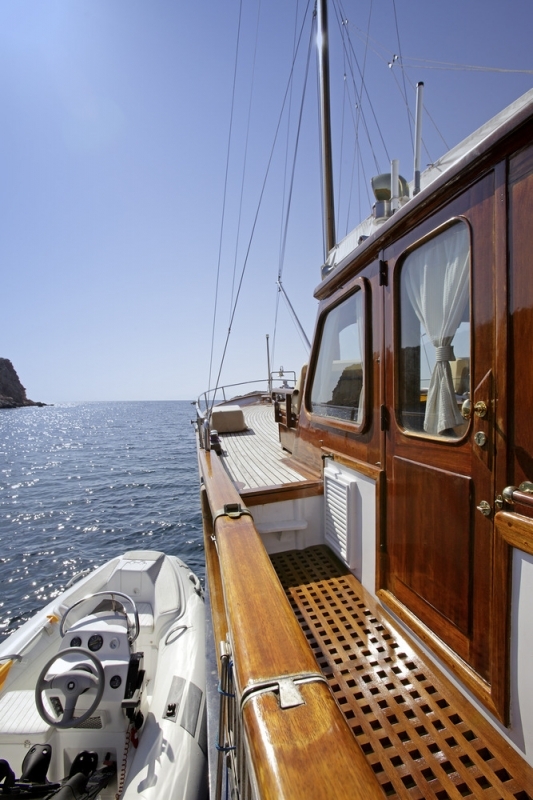 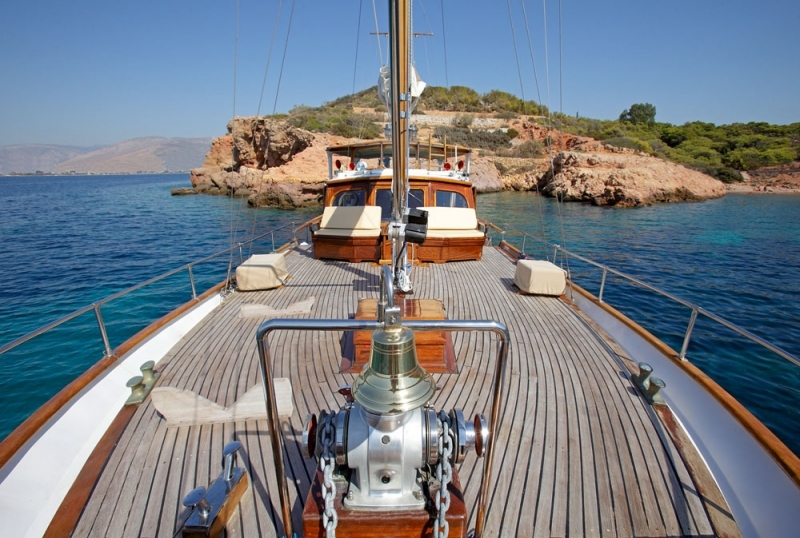 The charming Motor Sailer ROTA II is based in Athens, Greece, which is an ideal base for cruising in the Cyclades islands (Mykonos, Santorini, Paros, Naxos, Syros, Ios etc), the Argo-Saronic Gulf islands (Hydra, Poros, Spetses, Aegina etc) and the Ionian islands (Lefkas, Corfu, Zakynthos, Kefallonia, Paxi etc). 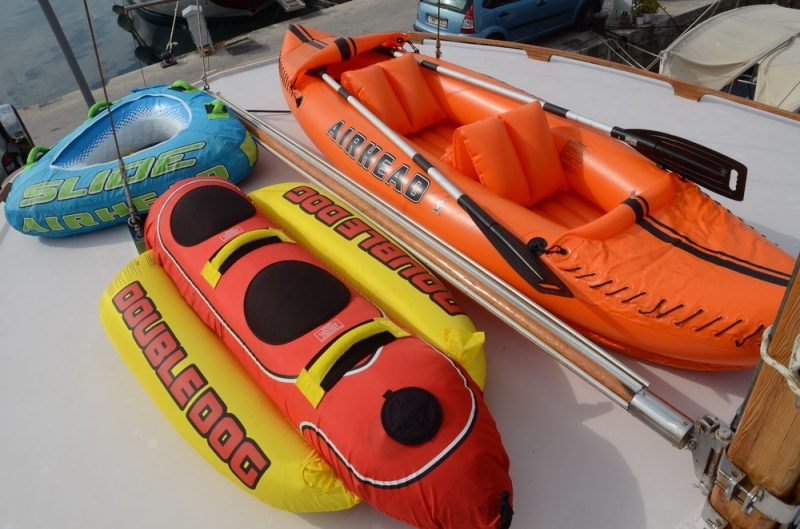 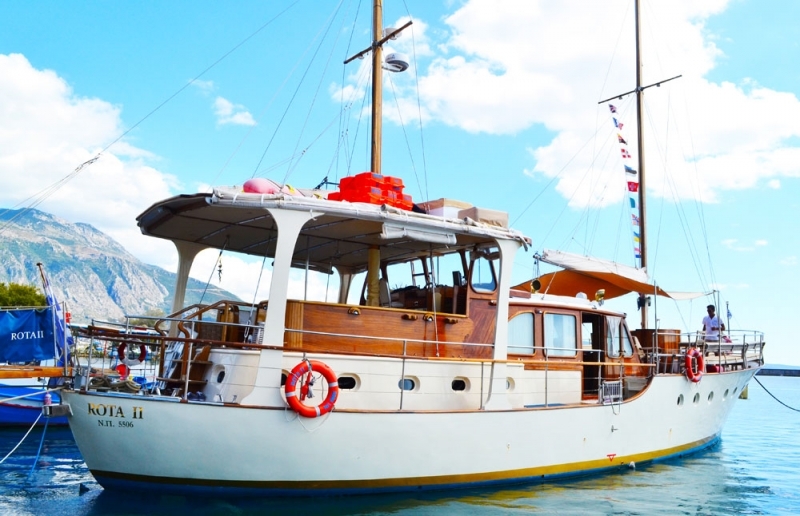 She can also be delivered upon request to any Greek island or other destination, such as: Dodecanese islands (Kos, Rhodes, Symi, Patmos, Samos etc), Halkidiki, Volos and Sporades islands (Skiathos, Skopelos, Alonissos etc). 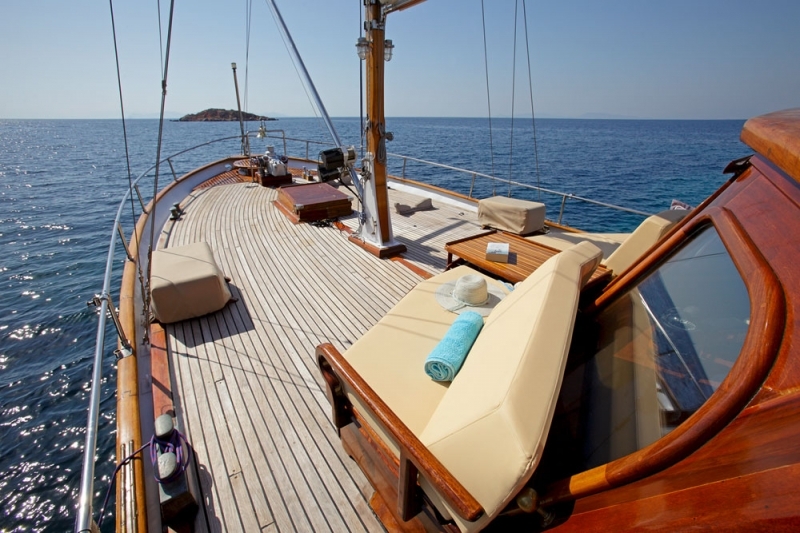 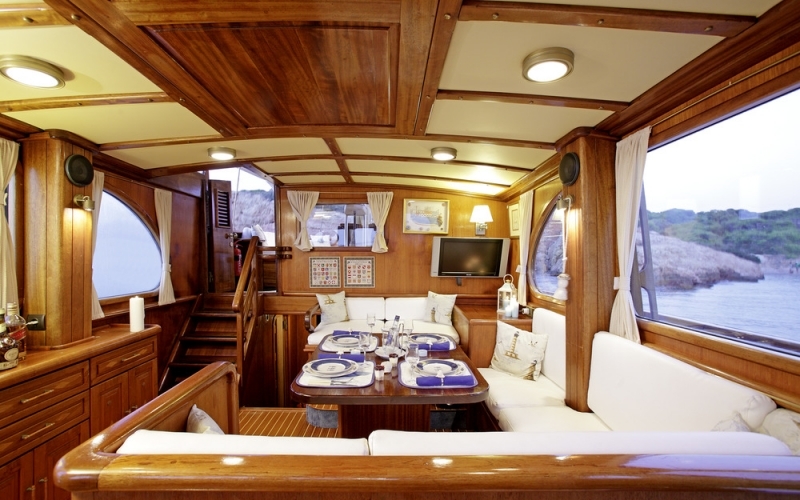 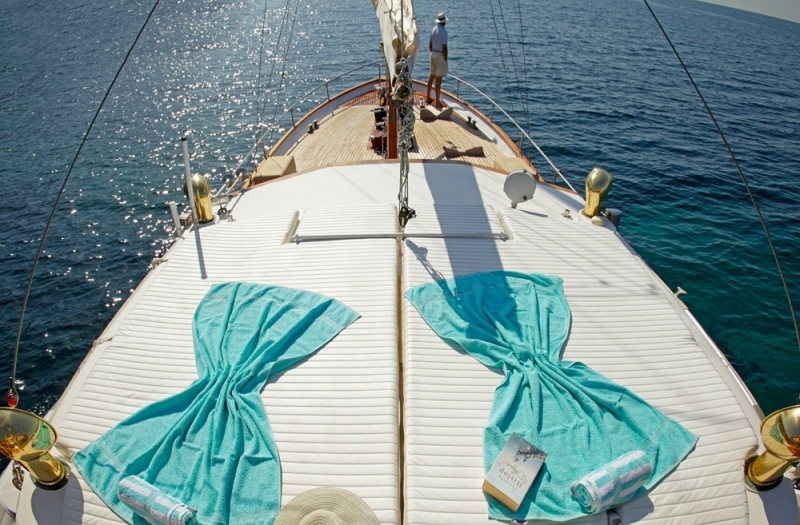 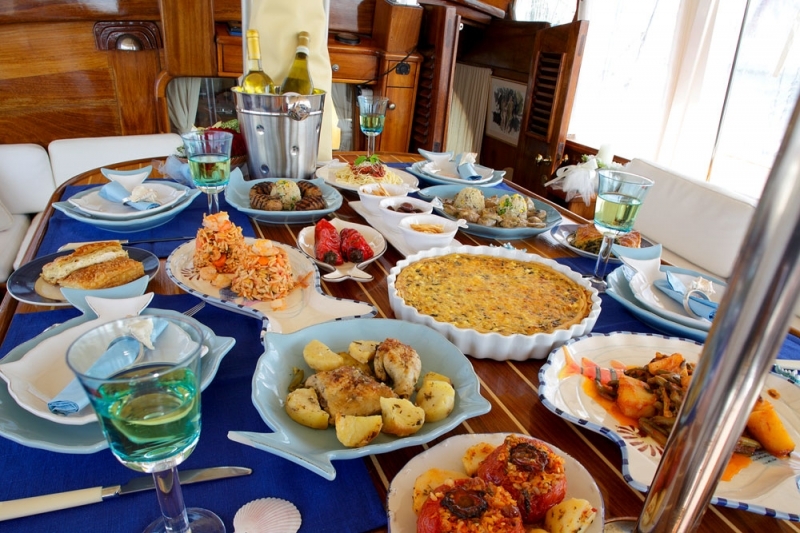 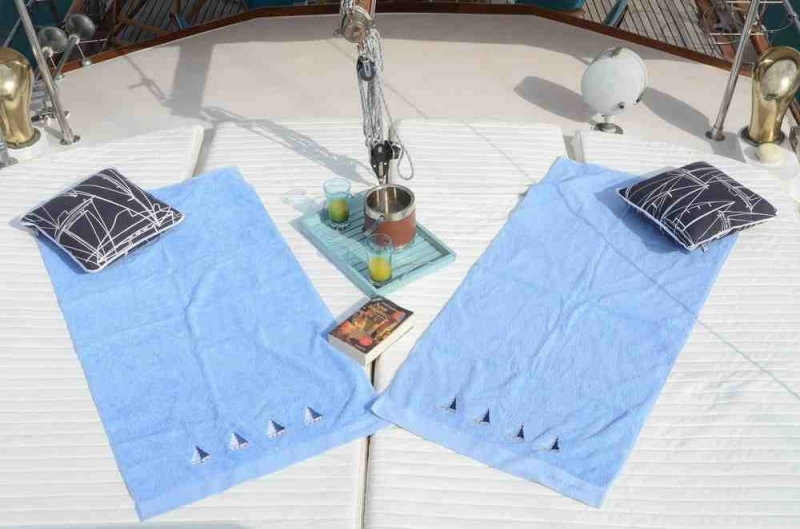 Rent this wonderful classy yacht, to enjoy the most unforgettable holidays in Greece or Turkey. 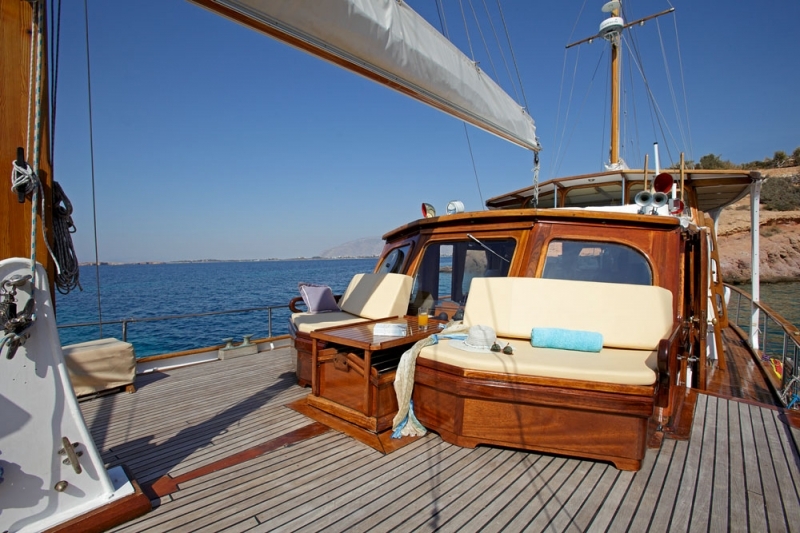 ROTA II is one of the very few luxury yachts in Greece with a license for 46 guests for Daily Cruises. 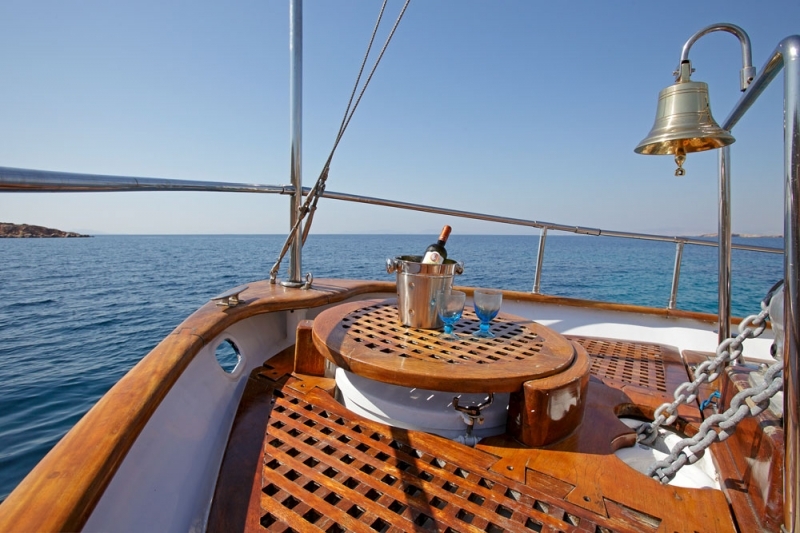 She is the ideal luxury yacht for affordable Daily Cruises to the beautiful bays of the Athens Riviera or the close amazing islands of Aegina, Fleves, Poros, Hydra etc. 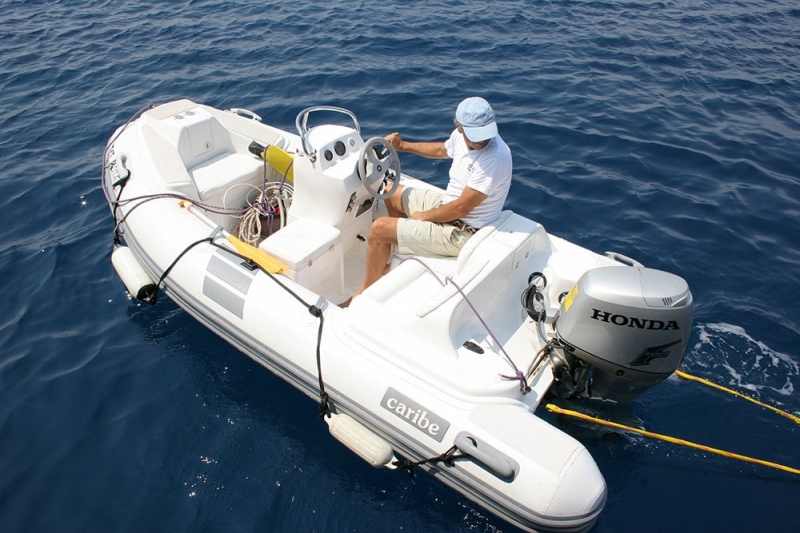 She can also be delivered to any other Greek island or destination for a Daily Cruise, upon request.